We don’t need to tell you just how awesome, ground-breaking and mind-boggling Rick And Morty actually is, but what we do want to share with you are some of the craziest fun facts and behind the scenes moments this already-cult cartoon has to offer. Rick and Morty keeps on pushing the envelope and boundaries of television, while bending our dull minds with their outrageous plotlines, multidimensional traveling and a beautifully morbid humor that was missing from television for so long. So, without further ado, check out these 7 interesting Rick And Morty facts. Morty, we have to go back! In case you haven’t realized that yet, Rick and Morty evolved from the cartoon called “The Real Adventures of Doc & Mharty,” a series of short sketches that parodied the two beloved protagonists from “Back to the Future” franchise. Apparently, Dan Harmon is one lazy SOB. Namely, when the two creators were making the pilot episode, the first draft was completed in just six hours. Harmon was postponing his work on the pilot for as long as he could. Plus, it all happened in his unfurnished Community office. Since Dan is a passionate procrastinator, Justin Roiland had to force him to stay inside until the first draft was completed. 5. Rick And Morty Movie To Happen? Last year, Rick And Morty fans started a petition to convince Adult Swim to green light the production of a feature-length movie. All the main characters from Community made an appearance in this episode: Jeff, Annie, Shirley, Pierce, Troy, Abed, and Britta. 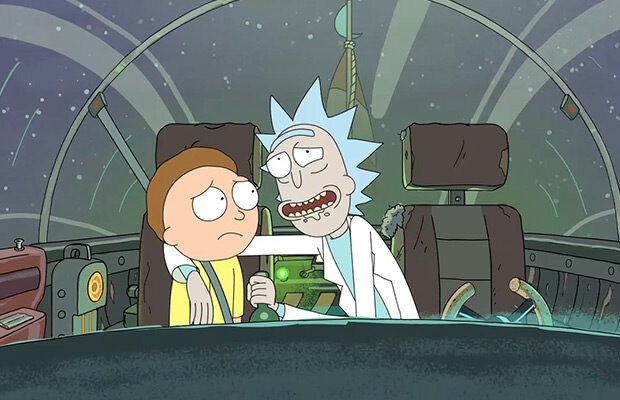 Dan Harmon mentioned several times that his inspiration behind much of the concept and humor for Rick And Morty comes from The Hitchhiker’s Guide to the Galaxy and Doctor Who. Since Justin Roiland can’t burp on command, he often drinks alcohol during the recording sessions to perfectly and as genuinely as possible perform the voice of Rick.